On arrival at a Chocolate workshop you will be welcomed with chocolaty goodness. We encourage you to indulge in a delicious chocolate fountain, which runs throughout the entire course. Our experienced chocolatier starts with a fascinating discussion about the history of chocolate and production process from bean to bar. You will then be shown how to create delicious Belgian truffles by hand from raw chocolate ingredients. 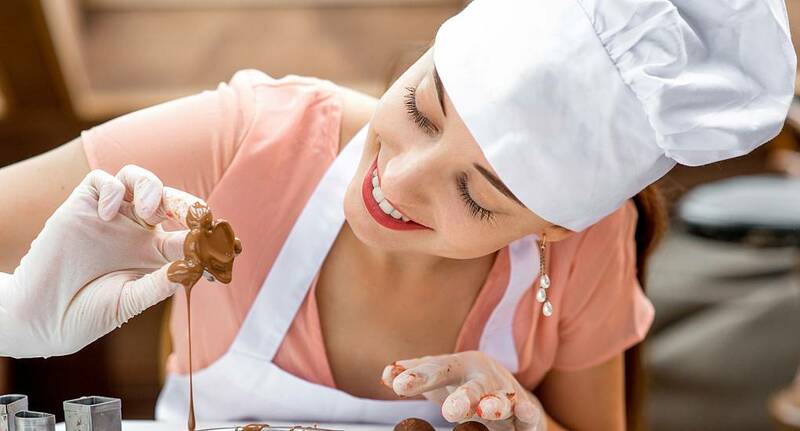 Under expert guidance you will learn how to mix, pipe, cut, shape, coat, and finally package your very own delicious Belgian truffles and take them home.